If you want to have success calling on people above-the-power-line, you have to know what you are going to say to create interest in their minds so they will want to talk further. Being unprepared leads to ‘winging it’ and can prevent sellers from knowing what is working and what isn’t. This will lead to frustration, feeling overwhelmed, and will confuse your prospects because of the lack of a cohesive message. The next thing you know, you’re coming up with excuses not to prospect. The result: a weak pipeline and chasing unqualified prospects. Sellers should also be prepared for the variety of situations that you may encounter, such as voice mail, gatekeepers, and prospects who are not interested in talking further. Create a script that is concise and one that you think will generate interest, then practice it so you don’t sound overly scripted or under prepared. Your message should be oriented around what will interest your prospect – like how you help companies resolve the Business Issues that keep them up at night. Find a ‘sales buddy’ to practice with; someone who will offer honest constructive criticism. Remember also to ‘keep your product in your pocket’ in the early stages of a discussion. If you don’t, you will get pushed down in the organization where your competition is already struggling to differentiate! If a prospect believes you can add value to them and their business, why wouldn’t they want to talk to you? 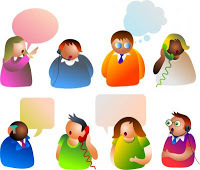 Finally, do you have a goal in mind for what defines cold calling success? We believe the best goal should be to determine how many legitimate opportunities you need to create during a given period of calling. A legitimate opportunity is one where you are able to get the prospect to tell you about a Critical Business Issue, not just a willingness to have another conversation or to meet with you. If you use this as the foundation to managing your efforts, you can then track how many calls it takes to generate new opportunities and how much time you need to spend on this important effort. OK, it’s time to COLD CALL!